The Macedonarmâns, known among themselves as “Armân” or “Makedonarmân” , and among others as “Macedo-Aromanian” or “Macedo-Vlachs” are one of the oldest European peoples. 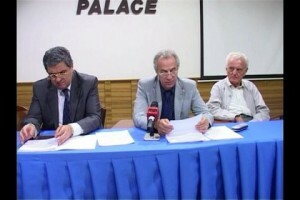 Aware of their history, national unity and common historical motherland, represented by several associations based in the countries they live in as part of their historical motherland, such as Albania, Republic of Macedonia (FYROM) and Bulgaria, as well as by associations living in diaspora, such as Romania and other countries, the Macedonarmâns, decided to establish The Council of the Armâns (Macedonarmâns), which was registered, as a legal entity with the Department of Justice in Tirana, Albania, in October 2005. The seat of the council was established at Moscopole/Albania, a place of symbolic value for this people with a unitary language, and whose traditions have deep roots in the ancient Macedonian heritage. 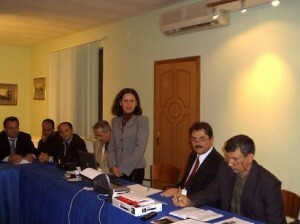 The Council of the Armâns (Macedonarmâns) has the duty to support the requests of the Armân / Macedonarmâns communities which are members of this council. These communities intend through their activities to save and develop the language and cultural values of the people they represent. The objective of the Council of the Armâns (Macedonarmâns) is to federate all the Armân groups and associations who adhere to the principles stated in its statute and who have an interest in the actions and activities undertaken by the council. The Council of the Armâns (Macedonarmâns) is particularly concerned to gain recognition for the Macedonarmâns organized in communities in each Balkan country where they have been living since time immemorial, as a distinct, autochthonous, and regional people, who speaks its own millenary language dating back to ancient Macedonia. The objective of the Council of the Armâns (Macedonarmâns) is to assure coordination, collaboration and fulfillment of all initiatives contributing to the preservation and promotion of the Armân language, traditions and cultural values. The Council of the Armâns (Macedonarmâns) aspires to become an associate of the debates and agenda of the European Council as well as of other European and international organisations concerned with the protection of human rights and the rights of national minorities. By their nature, the Macedonarmâns have always had a social disposition, thus playing a mediator role between the people among which they have lived, contributing to the formation and development of the Balkan national states. 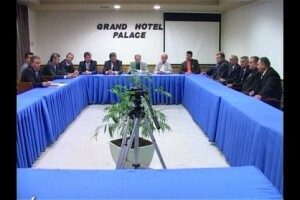 The Council of the Armâns(Macedonarmâns), is commited to do everything in its power to assure a close relationship with all the countries where Armâns(Macedonarmâns), live, wishing to be a means of building bridges between the Armâns(Macedonarmâns), and the people with whom they have been living for centuries. The aim of the Council of the Armâns(Macedonarmâns), is to achieve a greater understanding with all other European minorities in order to safeguard and realize their principles which they share as their common heritage, thus facilitating their progress. The Council of the Armâns(Macedonarmâns), will support the promotion of bilingualism as an expression of multiculturalism, it will also support the integration of the marginalized or unprivileged minorities, promoting tolerance to other peoples and minorities. In other words, we can say that the modern history of the Armân/ Macedonarmân people is the history of the national states, to which they have always been faithful citizens. Therefore, the Council of the Armâns (Macedonarmâns) wishes to be a new, modern linking bridge between the Armâns and the people they have been living together with for centuries, thus building up together the united free Europe of tomorrow. Noi, delegatslji pitricuts di la farili armâneshtsâ ditu Arbinishii, Rumânii, Vâryârii shi R. Makidunia, AFA(Frântsii) shi ULCA(Ghirmânii), lomu aua apofasea s-asculămu deadunu aestu Consilu a Armânjiloru. Nâ adunămu tora shi cu sotslji ditu Arbinishii, tiniri cu vreari ti Armânami, cu shteari shi cari sh-loarâ borgea s-adunâ tu unâ Farâ Armâneascâ ditu Arbinishie. Dealihea dukimu câ Armânjlji himu aua di daima sh-câ tuts aspunu di daima idyiulu zboru: “hiu atsea tsi hiu”. Tuts cu idyea vreari shi shteari câ himu unu populu, aleapsimu Moscopole scamnu a Consillui, a Armânamiljei. Tu aestu locu di pirmithu shi yisu, di istorie armâneasca shi evropeanâ, di culturâ shi simbolu di moarti shi anyeari, va u crishtemu aestâ institutsiuni evropeanâ. Ca un popul ahoryea sh-cu unâ identitati proprii, tsi bâneadzâ tu Balcanu/ Evropa, Armânjilji voru s-hârseascâ di tuti ndrepturli ditu Conventsia Cadru ti Minoritătsli Natsionali, timiljiusitâ pi Ndrepturli fundamentali a Omlui, prividzuti tu CARTA ONU. Ti aesti ndrepturi Consillu a Armânjiloru va s-dishcljidâ căljiuri ti dialogu cu institutsiunli shi autoritătsli ditu cathi cratu iu bâneadzâ Armânjilji shi cu institutsiunli evropeani. 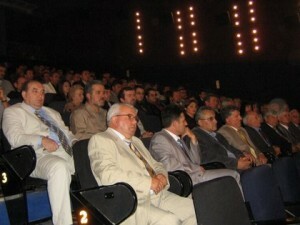 Adunats aua tu mushata Moscopoli, anvârligats di muntsâlji tsi liga Armânamea di Pindu, Gramosti, Epiru shi Tesalii, Makidunii shi Ohrid, Bitola shi cama alargu pri iu elji bâneadzâ adzâ, nâ dukimu tu fuljiaua di iu s-arâspândirâ kimati kimati aua shi cama di dauâ suti di anji. Tutu aua, sumu aestu mushatu tseru (urano) di toamnâ, di cara ishimu di la sâmta liturghii pi armâneashti cu tsintsi preftsâ ditu basearica Ayiu Nicola, dukimu câ Moscopolea va u apridunâ diznău Armânamea. Dumnidzălu va nâ da putearea s-u cristhemu limba armâneascâ shi s-nâ aspunemu Armânji tu etili tsi yinu. Cumu dzâsi preftulu tu dyeavasi, daima s-pistipsimu câ tuti atseali tsi li câftămu va li avemu.